As a restaurant owner, you know that good food and great customer experience brings good sales. But what you don’t know is that the second part of the equation, employee management, largely depend on how motivated your employees are. As Richard Branson once said, if you take care of your staff, they will take care of the clients. So the equation can be summed up to be: Happy staff = Happy customers. If your workers are happy, they will work to make sure that the seats are filled and that the customers are kept happy so that they will come back again. But how do you keep your staff motivated? The tips outlined in this post will help you out. Keep reading. 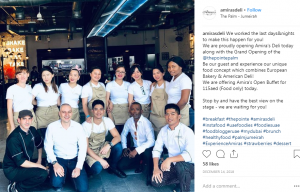 Humans are competitive in nature and this is a quality you can use to the benefit of your restaurant’s gain while keeping the team happy and motivated. To make sure it turns out to be effective, the competitions should be organized to suit the different teams in your restaurant. 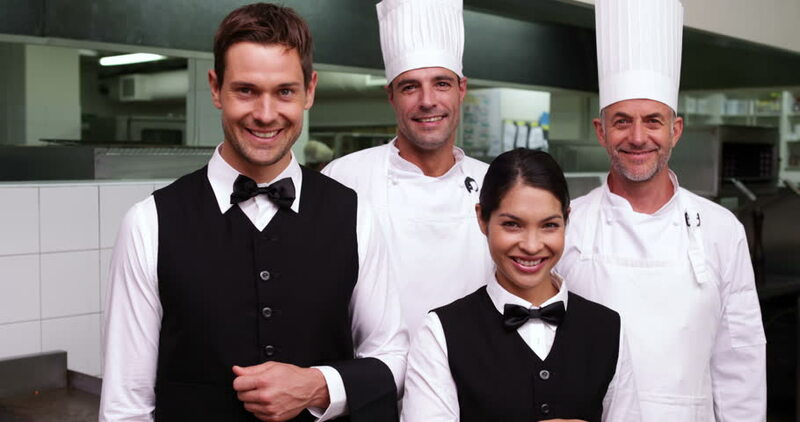 For the waiting staff and servers, you can utilize exciting games like menu bingo, ideal ticket, and customer reviews to determine the winners. For example, you can reward servers whenever they sell a certain number of a specific menu item. You can also reward a server and waiter who get an amazing testimonial from a customer. Another simple but effective method is organizing a random monthly draw to determine the winners. For the kitchen staff, you can rely on the judgment of the head chef to determine who takes home the price every month. But make sure that the entire process is monitored for transparency and fairness because unfair rewards can have a negative effect on the performance of your workers. While these techniques can be highly effective for motivating your staff, you should take precautions to make sure that employees are working for the right reasons, not just for the prize. Hiring the right candidates isn’t enough, you must have ongoing training, starting from the onboarding stage. Investing in the development of your staff makes them feel that they are valued. This is also good for your business as your staff gets to learn new ways of solving problems that they encounter in the line of service. From experience, we have noticed that ongoing training also increases your employee retention rate as most of their junior workers will be interested in advancing within an organization that is invested in their career growth. News and events that are worthy of celebration come up from time to time, utilize them to favor of the entire team. It could be birthdays, promotion, completion of a training course, or even when your restaurant is nominated for an award. You can do this during the work hour or organize a small get together after work hours to bond and celebrate outside the work environment. Such small moments often leave a lasting memory and if you as the manager or owner can create time to be available, it can make a world of difference for your employees. Believe it or not, nothing is more motivating than offering a fair wage and of course, bonuses from time to time. As a starting point, make sure that your employees are adequately compensated. This is the first step to reducing employee churn. If your employees receive wages that are equal or slightly above what they can get from your competitors, they will likely stay, especially if other factors like training and respect are in place. Want to take a step further, reward your employees for amazing service or when they achieve a milestone within the organization. You can tie the bonuses to the competitions or reward employees who have been with your organization for some years. Your servers are responsible for selling the menu items. It will be an incentive to get their views on new menu items. This will also help them to understand the taste and feel of the items that they will be recommending your customers. Apart from being a clever business move, pre-tastings will make your team feel that their opinion matters. Nothing can be more motivating than knowing that you are valued by your manager. These are a few clever tips to keep your employees motivated. At DB Hospitality, we offer restaurant consulting services to both new and established organizations. If you are struggling to hire and retain the right candidates for your restaurant, we can help you out. We also offer ongoing training for restaurant employees. Feel free to drop us a line and we get in touch with you.